New Jersey generally restricts carrying firearms (open or concealed). The state does not have a specific law banning guns on private property beyond its trespassing laws (see N.J.S.A. 2C:18-3.) 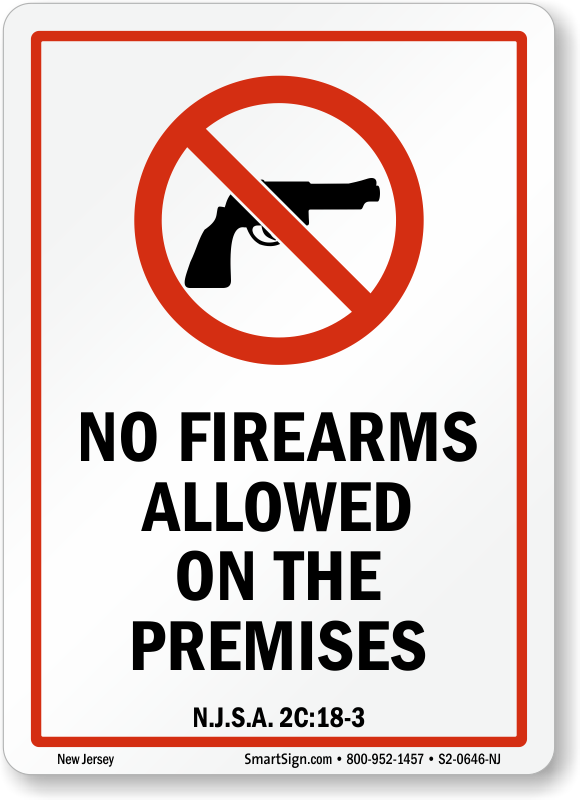 MySecuritySign offers No Guns signs for New Jersey to entities who wish to exercise their right to allow or deny entry.